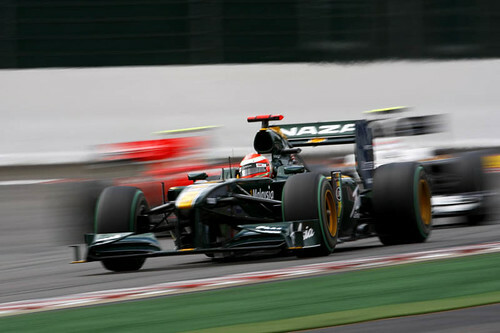 The Belgian Grand Prix at Spa lived up to all expectations and produced an incident packed race that saw Lotus Racing again finish ahead of their nearest rivals. 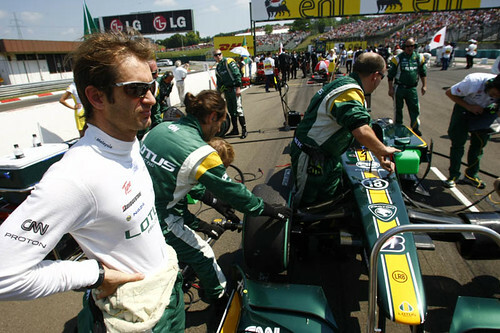 Heikki Kovalainen recovered from a slow start to finish 16th, and Jarno Trulli crossed the line in 19th, a spin late on dropping him back a few places after he had put in a very strong performance in the constantly changing weather conditions. For more info on the Evora Cup/GT4 check out out our exclusive interview with Lotus test driver Johnny Mowlem and head on over to our coverage of theEvora Cup/GT4 premiere event. Ahead of the official unveil at the Paris Motor Show on September 30th, Lotus announce the latest evolution of the award winning Evora – the Evora S and Evora IPS (Intelligent Precision Shift) option. The Evora S comes with a sport pack as standard featuring a ‘sport’ button which allows the driver to control throttle response and activate the exhaust by-pass valve. The sport button also raises the instantaneous rev limit and changes the dynamic stability control settings resulting in a total experience change. 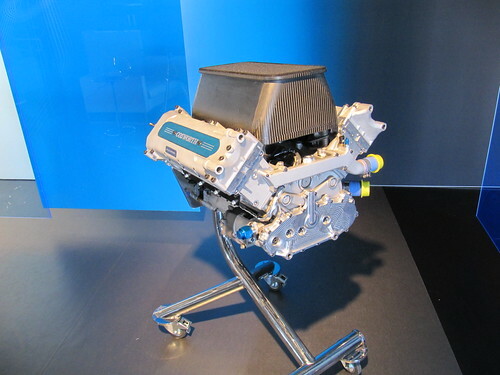 There are cross-drilled brakes for improved cooling. And here’s a heads up for those who buy into the old adage ‘you can tell the men from the boys by the size of their toys’: the external emotion of the Evora S has been improved with a completely new active exhaust which means that at the push of a button the car sounds just as dramatic as it feels. 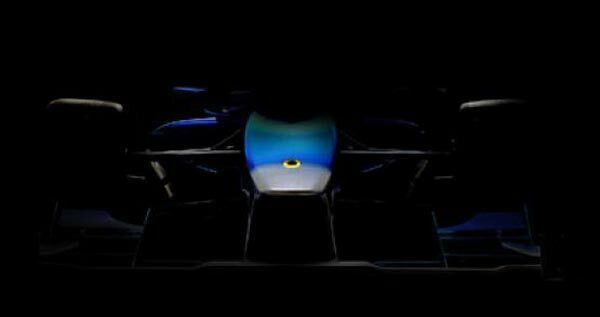 So there you have it folks, the next generation of Lotus Evora, the Evora S, set to be unveiled at the Paris Motor Show. But that’s not all. 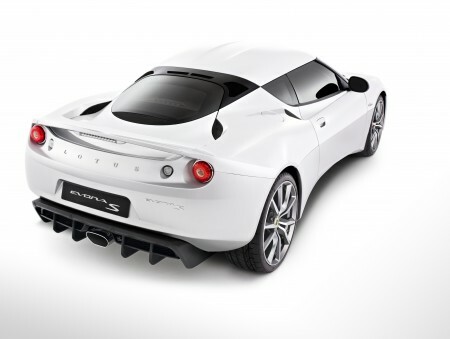 In addition to the Evora S, Lotus also presents the IPS (Intelligent Precision Shift) option. This inception of the seven-time-award-winning (who’s counting? We are!) 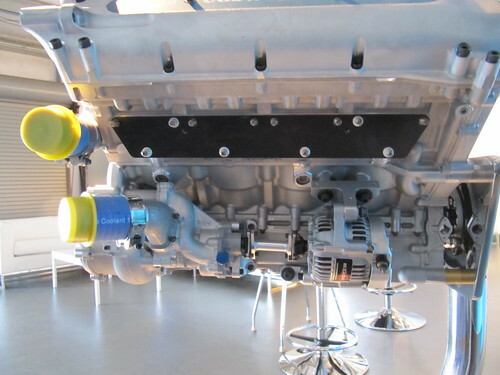 Evora sees an automatic 6-speed gearbox with Lotus developed transmission control with a 3.5 l V6 engine delivering 280 PS assuring a superior automatic driving experience. 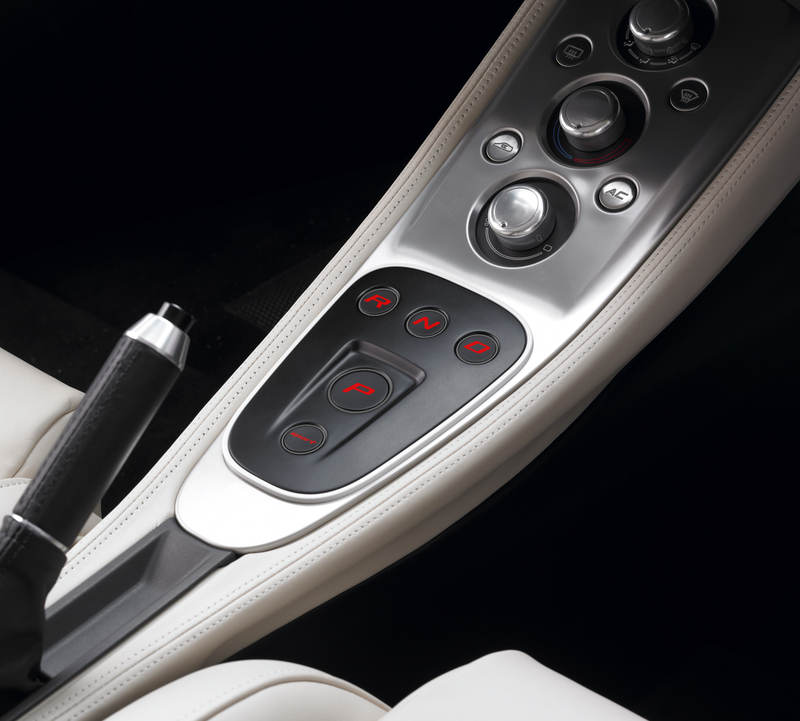 The IPS version of the Evora allows the driver to switch between manual paddle shift and automatic drive modes. 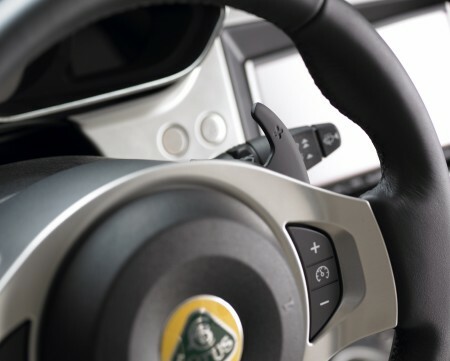 The driver also has the option of selecting ‘sport’ mode which showcases the Lotus sport driving experience allowing the driver to really feel each gear shift and be in complete control of the transmission. Registration is now open on Motorsportreg for club members for the September 19th GGLC autocross in Marina. This will be the fifth points event of the season for club members. The event will open up to non-club members next week. By the way, this is our last event of the season at Marina. Our next event will be the season finale in October at Great America. I recently had the pleasure of talking to long time GGLC member and Historic Grand Prix racer Chris Locke at the Monterey Motorsports Reunion. 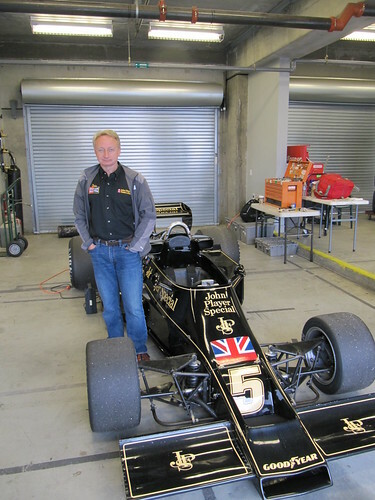 Chris has been campaigning his ex-Andretti JPS Lotus 77 in historic grand prix for five years and graciously agreed to share his experiences with the rest of the GGLC. 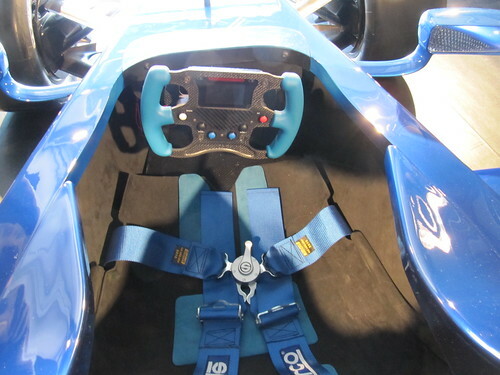 The following is our exclusive interview with him discussing the Historic Grand Prix experience, the history of his car and comparing the 77 to other cars both new and old. 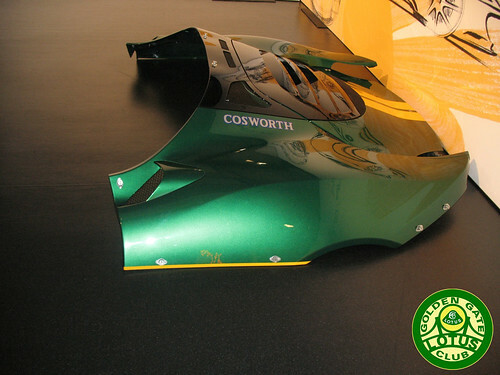 You can see more pictures of the Lotus 77 on the Flickr set below while video from the Monterey Motorsports Reunion Historic Grand prix is available here. 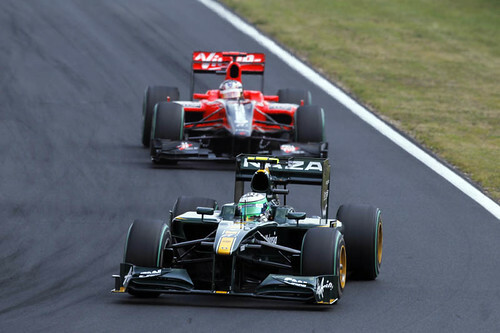 For more info on Chris and his cars please visit Checkered Past Racing. The main feature race of the 2010 Monterey Motorsports Reunion celebrated 60 years of Formula 1 and had a grid featuring an incredible 24 F1 cars including 3 Lotus (Types 77, 79 and 81) and 6 championship winning cars (Lotus 79, Williams FW07, 2 Williams FW08, Tyrrell 006, Ferrari 312 T2). The following are some quick video snippets showing the action as it went down. The most iconic turn at Laguna Seca is the Corkscrew and we got this quick clip of the cars navigating it during the Sunday morning practice session. You can also see another video from a different angle here. 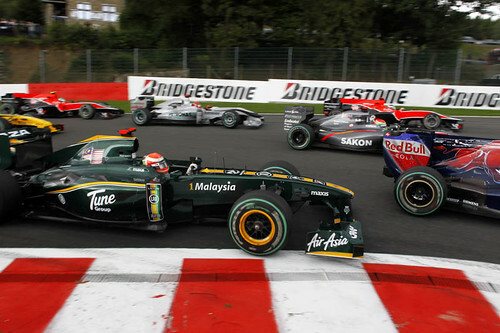 Unlike Europe, Historic Grand Prix racing in the US generally uses a rolling start. 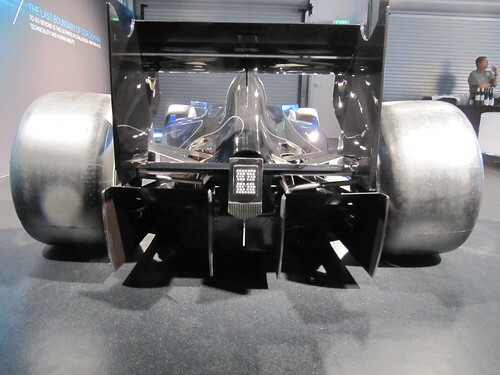 The Williams FW 07B and FW 08C make up the front row. The final turn of the race featured a finish line drag race between the Lotus 77 (driven by GGLC member Chris Locke) and the McLaren M30. 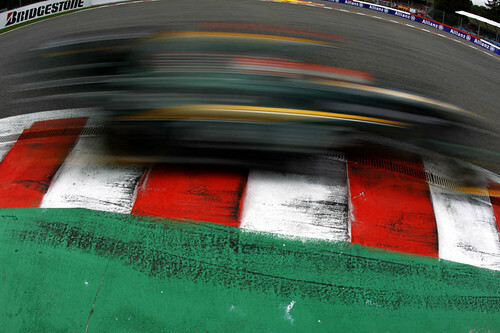 The full results and entry list are now posted on the official website. 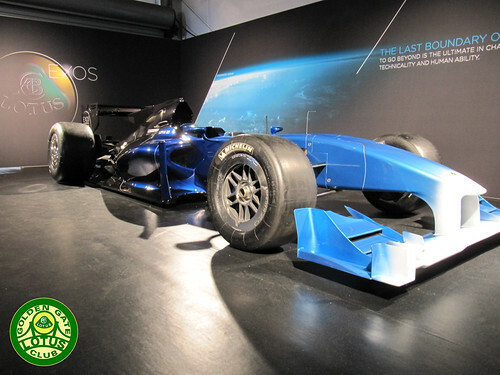 9:00am – 5:00pm: Lotus exhibit in the four-bay garage under the presentation podium structure. 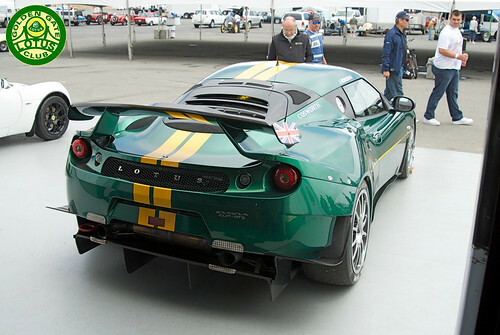 North American debut of the Evora Cup GT4 race car and World Premier of the new Lotus T125 ultimate track/race car. 12:20pm – 12:35pm: Lotus Evora Cup GT4 race car on track with Johnny Mowlem providing rides to seriously interested Evora Cup GT4 prospects. 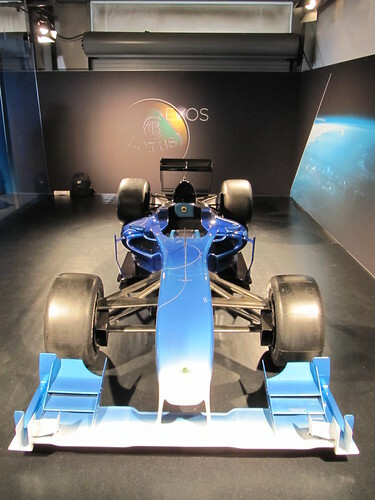 5:00pm – 7:00pm: Reception hosted within Lotus exhibit. 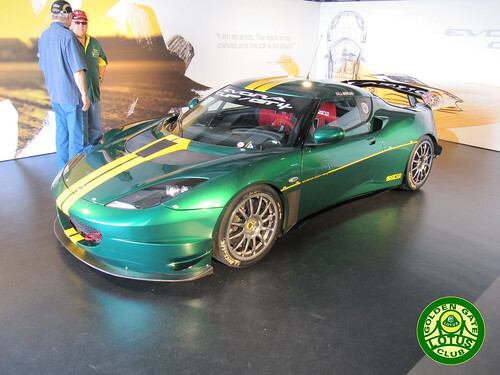 5:00pm – 10:00pm: Lotus T125, Evora Cup GT4, Evora road car and IndyCar display at the McCall’s Motorworks Revival at the Monterey Jet Center. 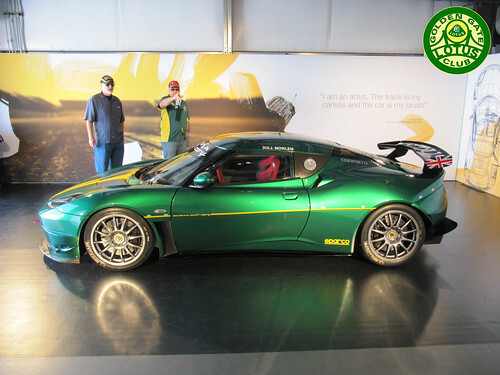 9:00am – 6:00pm: Lotus exhibit on Peter Hay Hill near The Lodge at Pebble Beach housing the Evora Cup GT4 track/race car and full array of Lotus road-going product portfolio. 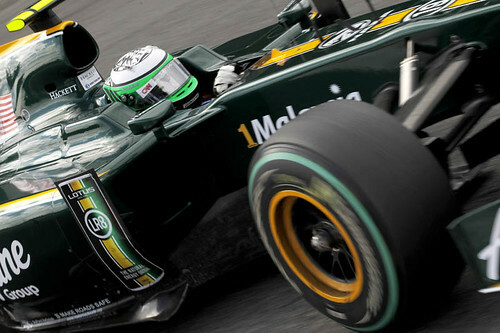 12:00pm – 6:00pm: Lotus T125 track/race car displayed on the Concept Car Lawn at The Lodge at Pebble Beach. 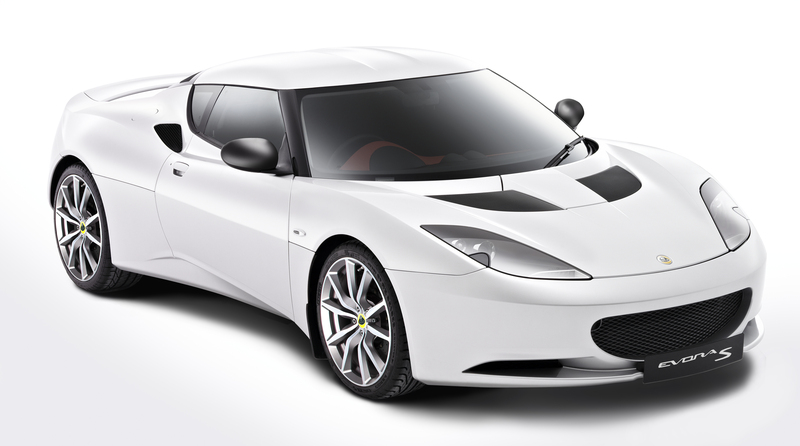 8:00am – 4:00pm: Lotus exhibit on Peter Hay Hill near The Lodge at Pebble Beach housing the Evora Cup GT4 track/race car and full array of Lotus road-going product portfolio. 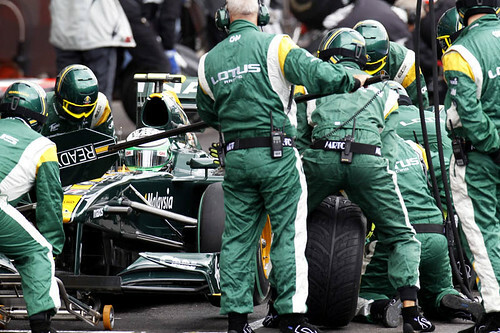 8:00am – 6:00pm: Lotus T125 track/race car displayed on the Concept Car Lawn at The Lodge at Pebble Beach. 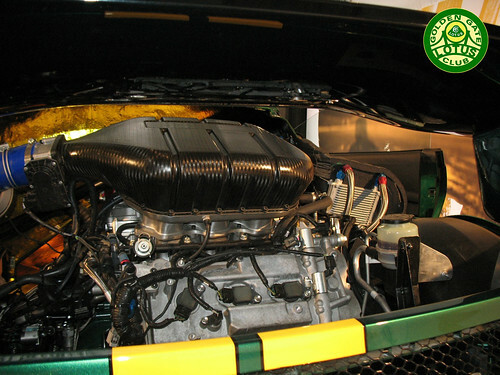 We hope to see as many Lotus aficionados as possible throughout the week! 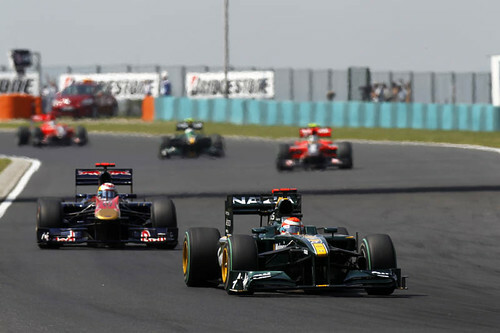 Lotus Racing enjoyed an excellent day in the heat of the Hungarian Grand Prix with Heikki Kovalainen finishing 14th and Jarno Trulli just behind in 15th. 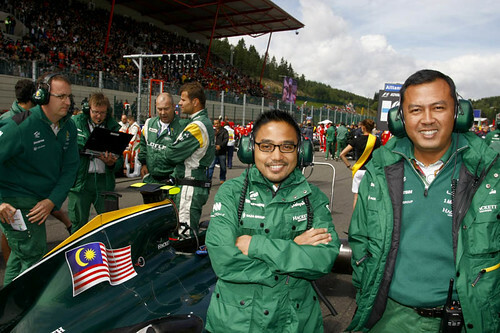 A very exciting race, full of incidents throughout the grid, saw the Anglo / Malaysian squad firmly consolidate their position at the top of the new team chart, sending the team into the summer break full of confidence for the challenges that lay ahead when the Championship reconvenes in late August.